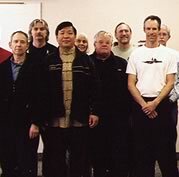 Master Henry Wang teaches regular tai chi classes for beginner, intermediate, and advanced students in several communities near Comox, British Columbia. He also teaches periodic workshops in Vancouver, Victoria, Nanaimo, Boise Idaho and Connecticut. 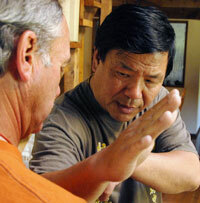 Master Wang is available to teach workshops elsewhere and has worked in Europe, Taiwan, and USA. 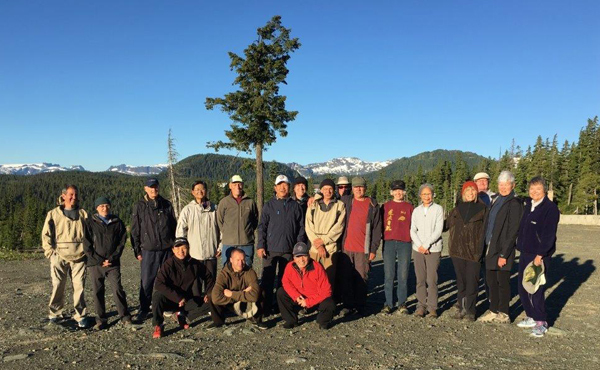 Each summer, Master Wang hosts a six day Tai Chi Summer Camp on Mt. Washington - Vancouver Island. Master Wang's 30th Anniversary Tai Chi Summer Camp will take place from July 14 to July 20. 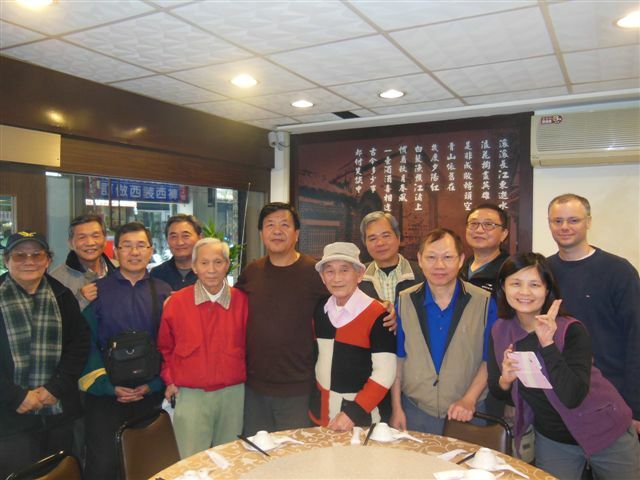 Master Wang spent much of the winter of 2013-14 in Taipei, Taiwan. 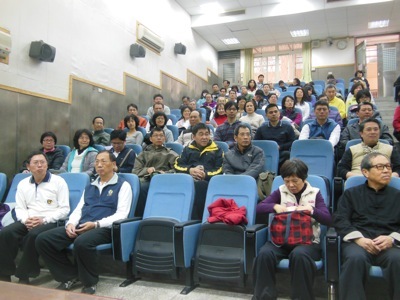 During his visit he was invited to speak to Tai Chi groups and share his experience and knowledge with them. 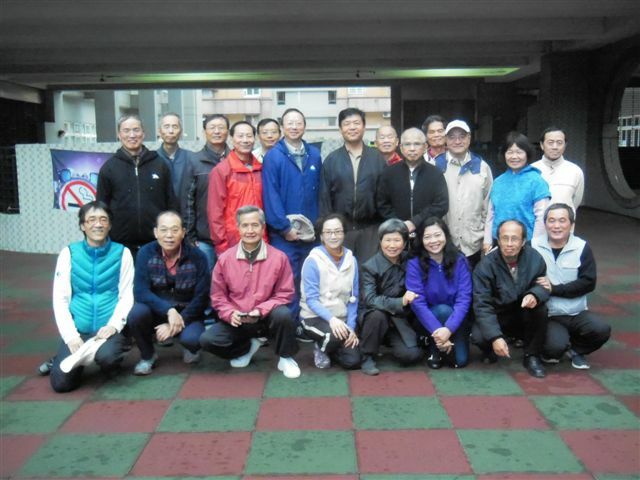 Master Wang visited family, friends and the Tai Chi community in Taipei in May, 2011. Click picture for photos of Master Wang's visit. 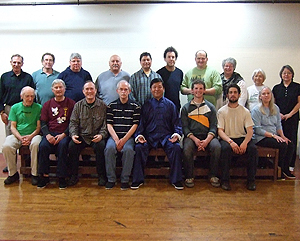 Master Wang gave a one-day workshop in Seattle, Washington on April 20, 2010. Senior students, instructors as well as students new to Master Wang's principles enjoyed instruction in Tai Chi form, Search Centre and informal sharing. Click picture for photos of the workshop. 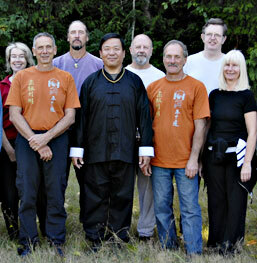 Master Wang gave a one-day workshop in Lund, British Columbia. 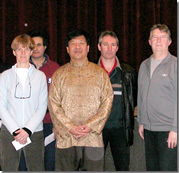 This was the 20th Anniversary of Master Wang's arrival in Canada. He marked the occasion with a workshop in the small community of Lund, where Master Wang lived when he first came to Canada. Master Wang gave a two-day workshop in Ghent, Belgium. This was a rare opportunity for tai chi practitioners in Europe to see master Wang and experience his philosophy and methods first-hand. The workshop was hosted by senior student Patrick Deneckere. Master Wang visited Boise, Idaho in April 2005. Participants were from Idaho and many other parts of the U.S. The workshop was hosted by senior student Paul Sorenko. Click on picture to see photos. This fee covers the cost of 4 hours of lesson per day, accomodation and food. 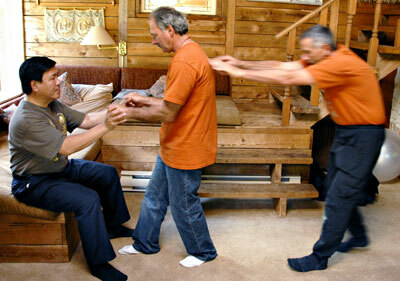 Participants must have at least five years background in tai chi and be in good health. Participants must also send Master Wang a short biography of their tai chi experience. Private lesson participants will stay with Master Wang at his house. Gourmet meals are provided and special dietary needs can usually be accomodated - please let us know. All private lessons must be booked two weeks in advance. A non-refundable deposit of $500 is required to reserve your booking.